People suffering from tooth loss only have one goal: restore the lost smile. Missing teeth had been an issue even before. And yes, dental restorations are already present during the past years. Let us take a look at how dentures evolved over time. Human and animal teeth – surprisingly, early people from northern Italy utilized these mediums to create dentures. It happened 700 BC and became well-known in the middle of the year 1800s. During the 1700s, the materials used to fabricate dentures came from the ivory of walrus, elephant, and hippopotamus. The first porcelain dentures emerged around 1774, thanks to the skillful hands of Alexis Duchâteau! However, his creation was not patronized because it did not exceed the people’s expectation when it comes to durability and aesthetics. According to some, Duchâteau’s dentures was easy to chip and fake-looking. 1820 came, and a man named Claudius Ash enhanced the porcelain dentures by adding 18-karat gold plates, gold springs, and swivels in it. The prostheses are more functional and aesthetically pleasing when compared to the former option. A better material is used to tailor dentures when the 20th century came. Acrylic resin and some other plastics had become the first choice of every denture provider to produce the prosthesis. Today, almost the majority of adult patients have teeth replacements in their mouths and dentures are the most common. As technology prospers, modern dentures are made even comfortable, natural-looking, and excellent when it comes to functionality. They come in different types as well to provide a more versatile restorative device for patients. Here at Plantation Dental Care, we offer complete, partial, and denture implants. The first option is designed for those who lost all of their pearly whites in the upper or lower jaw. The second, on the other hand, is for patients who still have single or multiple teeth left. 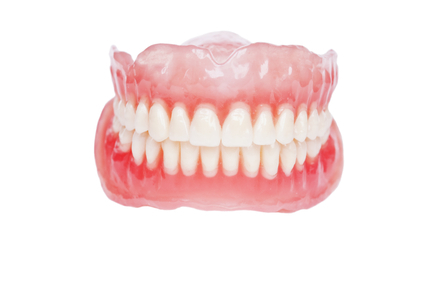 Denture implant is ideal for people who want a more stable restorative device. For more information about Dentures in Plantation, FL, be sure to contact Plantation Dental Care today. Our entire team looks forward to meeting you in person and helping you achieve the best possible dental health results. Visit us at 6971 West Sunrise Blvd., #101, Plantation, FL 33313.